While octopus isn’t new to the culinary scene, especially for fine dining chefs, seafood enthusiasts are taking notice in their home kitchens. Smart cooking (also a trend in 2018) has taken a majority of the confusion out of the cooking process. In the comforts of your own home, you can enjoy octopus raw, boiled, poached, or even grilled. 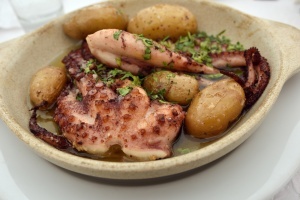 Grilled octopus with smashed potatoes and garlic in olive oil is a traditional Portuguese dish. Poaching the octopus first allows the meat to tenderize. You can finish it off on the grill to add a smoky, char-grilled flavor. Tools like the immersion circulator and Bluetooth electronic thermometer make cooking this delectable seafood not as intimidating as in the past. The easy –to-read display along with a way to keep a consistent and exact temperature is something that can now be in your own kitchen. The global seafood market is expected to be valued at over $150 billion by 2023 so the integration of what was once considered a ‘trash’ fish or a visually unappealing choice like the octopus, will undoubtedly be more of a staple in the years to come. Overseas octopus prices skyrocketed this past spring, with a large part being attributed to the demand in the West. The younger generations are attracted to the exotic menus and intricate flavors of food that is not only great tasting but great for you. Seafood, octopus included, are nutrient rich foods that are packed full of protein, making it one of the healthier dining options. With innovative cooking methods and increased availability, more adventurous diners can now enjoy this bold flavor that is sure to be featured in 2019 and beyond. Ready to try your hand at making an octopus dish? You are in luck! 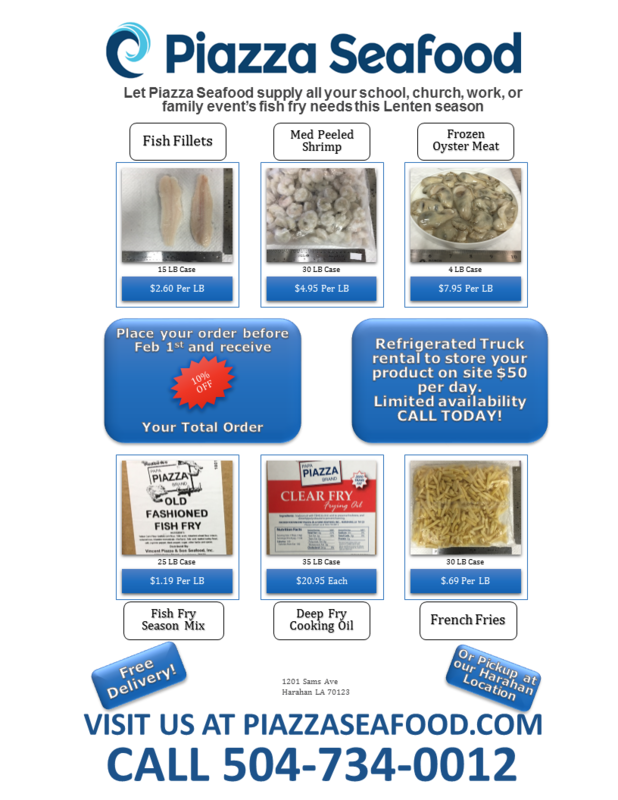 Octopus can be ordered directly from Piazza Seafood. If you are a business looking to buy from us, please don’t hesitate to enter in your information or call us directly at 504-734-0012. Roni on Piazza Seafood Presents: Mano’s Po Boys, Metairie, La. Bryan Piazza on Piazza Seafood Presents: Mimi’s in the Marigny, New Orleans, La.